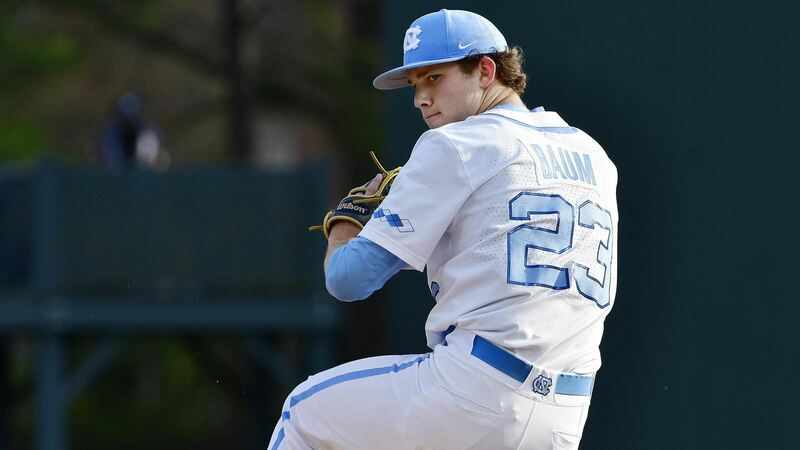 Behind a stellar pitching performance from junior right-hander Tyler Baum and an offensive performance that included three home runs, the 21st-ranked UNC baseball team took Game One of a three-game series at Notre Dame on Friday by a score of 10-1. Baum went six innings and allowed just two hits, while surrendering the only run in the bottom of the first inning, as the Tar Heels improved to 26-9 with a 9-7 record in conference play. Offensively, Aaron Sabato, Danny Serretti and Dylan Harris each hit a home run to spark UNC to victory. In total, seven different Tar Heels drove in at least one run. Four runs in each of the first two innings helped the Tar Heels build an 8-1 lead that they would never relinquish. Notre Dame dropped to 12-20 overall with the loss and 7-9 in the ACC. UNC will play a doubleheader against Notre Dame on Saturday to close the series.